Thinking of putting your house on the market? Not sure where to start? Here are expert tips for home sellers who want to sell their house fast! See clever ways to make your home stand out from the rest, DIY home staging tips, and what you need to know about renting your home if it doesn't sell right away. Plus home improvement projects that affect your home's resale value the most. See how to make your home entry more enticing when staging your home… because first impressions are everything when it comes to selling your house! If you’ve been trying to sell your home for quite awhile, and you want (or need) to move right away, then you may be wondering what you can do with your unsold home. 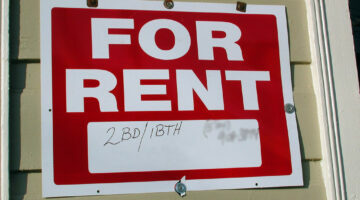 One way to keep from losing money each month is to rent your home. Here’s what you need to know before becoming a landlord. Here’s what to do with unused rooms when staging your home for sale. Tips for decorating empty rooms inexpensively in order to attract potential home buyers. 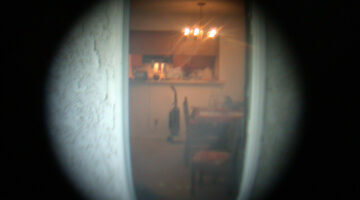 Home warranties are NOT homeowners insurance. Nor are they any form of a guarantee. If you’re thinking of including a home warranty in your home sale, or if you’re thinking of purchasing an aftermarket home warranty for your own protection as you transition into your new home, here are a few things to consider. Being a successful landlord will ultimately require that you understand both your responsibilities as a landlord as well as the rights of your renters. Here’s what you need to know before you rent out your house. If you’re moving soon — or maybe you just recently moved into a new house — then you’ll want to update everyone with your new address. Thankfully, there are LOTS of fun and creative ways to inform people that you’ve moved. Here are some of the most unique ways to let your friends and family know that you are moving. Moving announcements done right! What’s the best DIY home improvement project that costs least, increases a home’s value most and has the greatest return on investment? Answer: cleaning & decluttering! See what the other 11 are. You’ve seen shows like Flip This House featuring Armando Montelongo on A&E and Property Ladder with Kersten Kemp on TLC, right? Now you can try your hand at flipping houses yourself for free online. 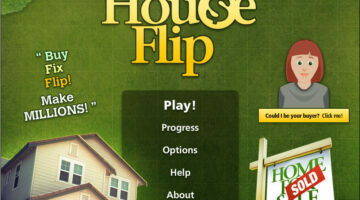 Play the online game called House Flip! Here’s how I organized my kitchen from top to bottom – inside and out! I made a plan, created a checklist, put everything in its place, organized the pantry and cabinets, fixed some broken things, and bought some fun kitchen organization tools. If you’re buying or selling a home, do you really need to hire a home inspector? If so, who pays… the buyer or the seller? Here’s what you need to know about home inspections and how to find a good home inspector. What do you know about your neighbors? Better yet, what do your neighbors know about you? Here are 6 legal ways to snoop on your neighbors online. They’re all free too. Moving to a new town — or even just across town — and having to go to a new school and make new friends can be scary for kids. 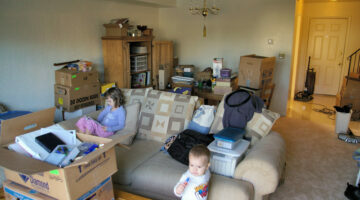 It’s normal for children to stress out about moving, but there are some things you can do as a parent to make the move less stressful for your children. If the home you’re selling is brand new — or a flip — you should count on spending 1% of your home’s asking price on home staging. In return, you can expect to get 10 times that back. Still, home staging is quite an elusive creature. How exactly do you stage a home? 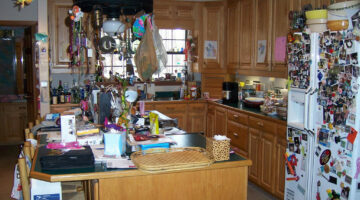 What are all the items in the home you need to look at? How much does it really cost to stage a home? Even before you show your home to the first potential homebuyer, you need to make sure your house is in pristine condition — inside and out. These things will help you sell your house fast. As a homeowner, you have to get creative about the ways you attempt to sell your home, since homes aren’t selling very fast on their own these days. Here are some creative ways to sell your house fast. Did you know that each time a house is relisted for sale in the real estate market, it gets a new MLS number? Then, for their reporting, Realtors simply use the last MLS number when they print out their reports showing average days on the market for the homes in their area. Cumulative days on market are rarely, if ever, addressed. Here are some tips from the pro’s about staging your home for resale. Hopefully, these staging tips will help you get top dollar for your home.